Ready to try out the waterfall braid trend? We have you covered with this fun tutorial! Below, we put the spotlight on both how to waterfall braid an updo, as well as a waterfall braid tutorial on hair that’s left loose and flowing (because hey, it’s a braid that can do both!). Kind of a hybrid between a French braid and a crown braid, the waterfall braid is actually quite simple to master. You just need to, as they say, let it go. This cute, trendy plait works great with medium to long hair, is especially pretty on highlighted strands and is perfect for upping the ante on your music festival hair game! Read on for an easy, step by step waterfall braid guide, as well as how to style your waterfall braid with curls. 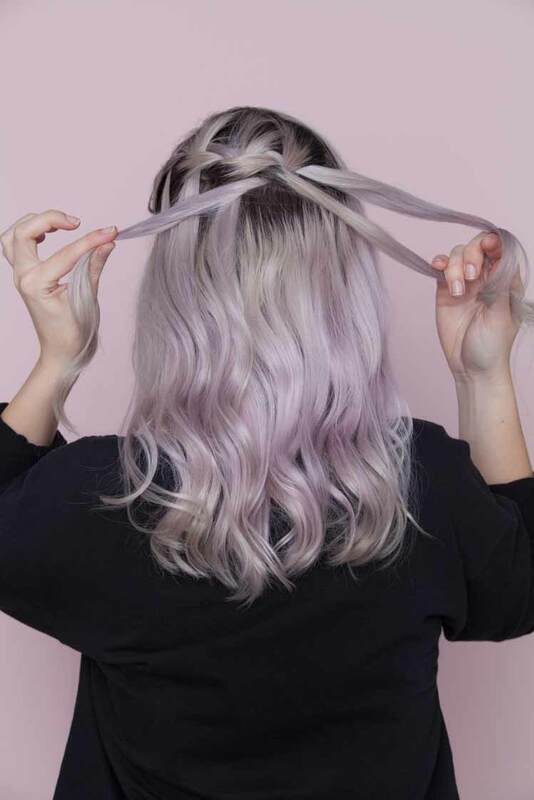 Bonus: If you’ve got funky, pastel or sea-hued strands, so much the better! 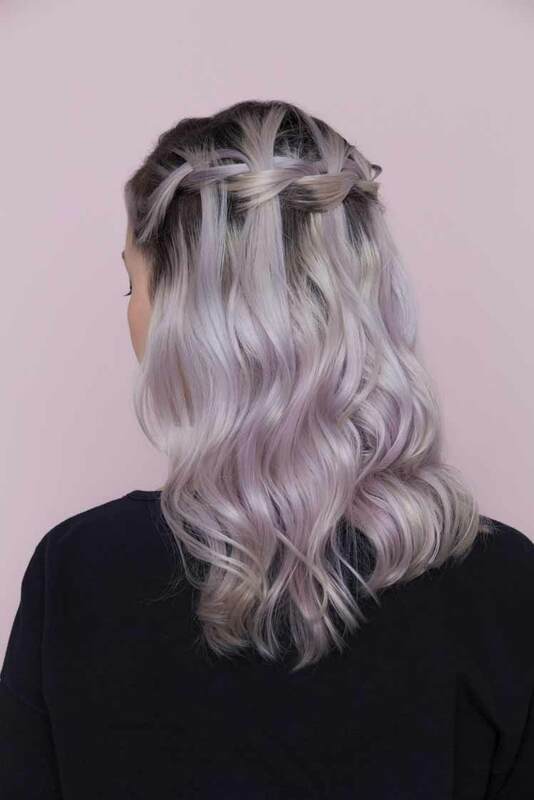 Begin your braid where your ombré starts for a true “waterfall” effect. Enjoy! Start on clean or freshly washed hair. Prep hair by washing with a gentle, mint-and-Vitamin E-infused wash and care system that gets rid of dirt and buildup, such as Suave Essentials Waterfall Mist Shampoo and Suave Essentials Waterfall Mist Conditioner. Otherwise, coat strands with a wave-creating cream, like TRESemmé Make Waves Shaping Gel Cream, before blowdrying. This sets up the stage for a fab, juicy braid. Power-dry with a blowdryer till hair is at least 90 percent dry. Wrap sections of your hair loosely around a large curling iron barrel (around 1 1/2 to 2″). Start at the mid-length and twirl more tightly towards the ends, curling away from your face. Begin a French braid on your hairline. 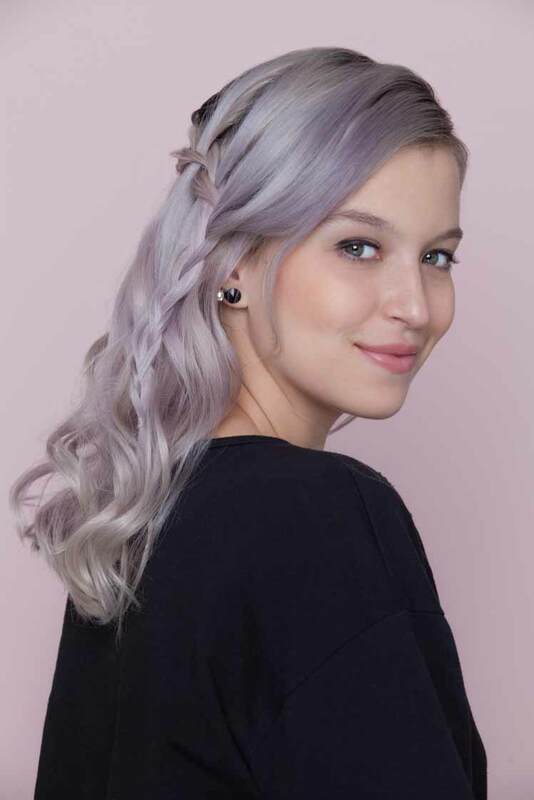 Part your hair as desired (we like a side part for this look) and start your French braid at the fringe area, moving from your partline to the opposite ear. To achieve, pinch one section from the top hairline, one section from the middle crown and one section from just above the starting ear. Weave the top section into the remaining two till you make one chain, then drop the hair before starting a new chain altogether (hence the “waterfall” look). Pinch a new section from the top hairline with each new chain, but still using the old two bottom sections throughout. Cross the back lock over the middle lock, then the front lock over the middle lock. Next, cross the back lock over the middle lock again, then gather a fresh lock from behind the back lock and have it join the middle—exactly as if you were doing a French braid. Next, cross the front lock over the middle and gather a fresh section from your hairline. Cross the back lock over the middle lock and bring in a fresh lock from further behind. Repeat your regular braid, but stop before you cross the front lock over the middle… and just drop it. Gather a lock from behind that dropped section and instead use that to cross over the middle lock. Repeat the entire process for a few chains, using the “drop and replace” method. Continue French-braiding till you reach the opposite ear. Switch into a regular three-strand braid past the ear and secure the ends with a hair tie. 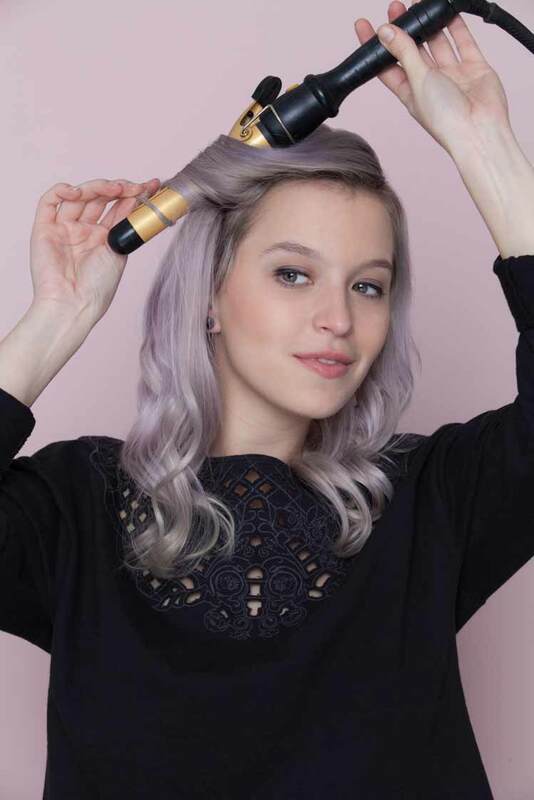 Pancake (loosen, fatten) any tight loops for a boho feel, and spritz your entire head with some hairspray to set the style. We like how Dove Style+Care Flexible Hold Hairspray keeps things touchable yet in place without flattening out the plaits. You’re all set and ready to turn heads! Looking for another cute, boho braid idea? Check out our tutorial on how to create milkmaid braids.